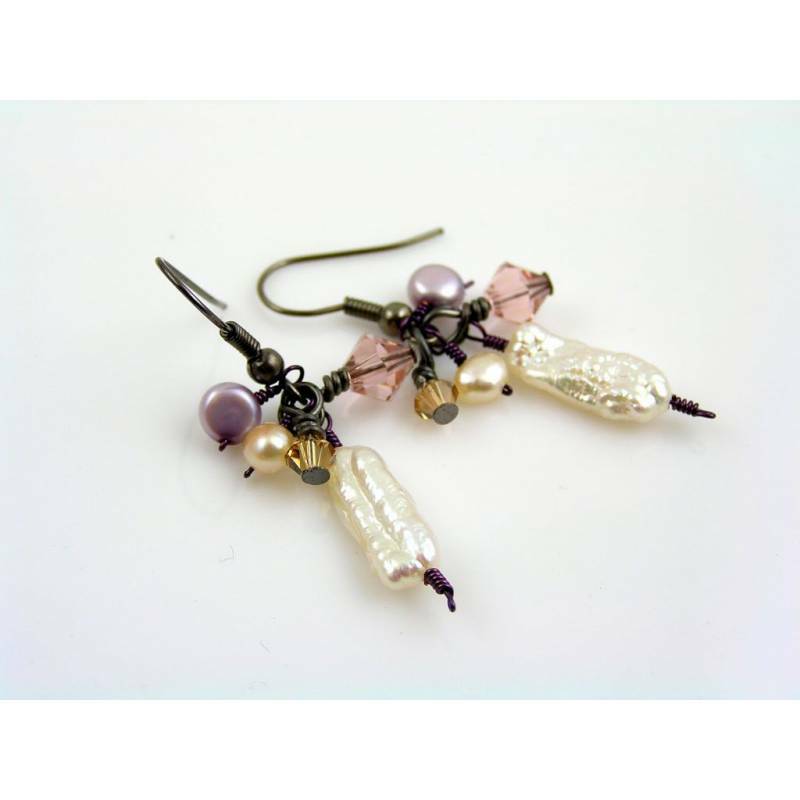 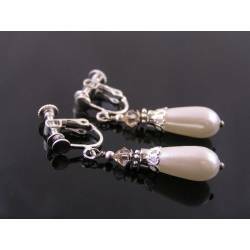 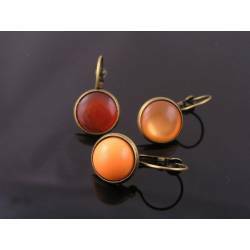 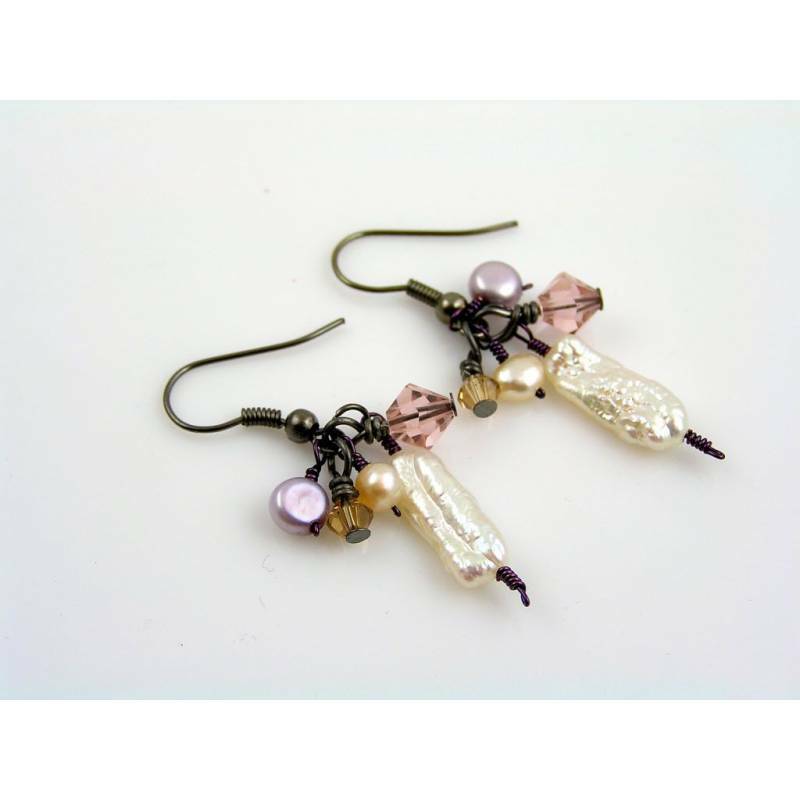 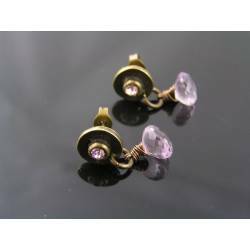 These earrings are set with a large biwa pearl, two small freshwater pearls in pale purple and pale peach and finally two gorgeous Swarovski crystals in vintage pink and topaz. 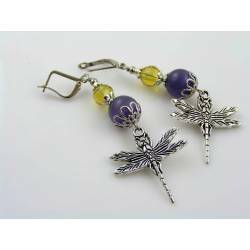 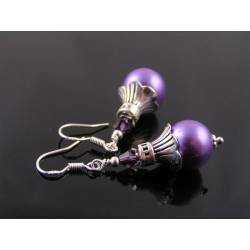 The beads are attached via dark purple craft wire, the ear hooks are dark grey gunmetal coloured. 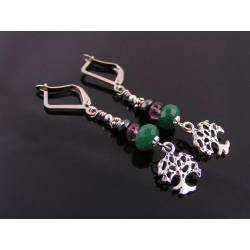 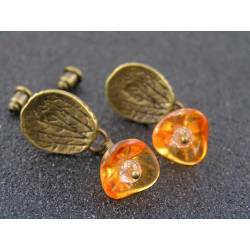 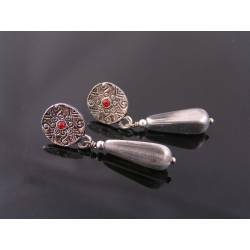 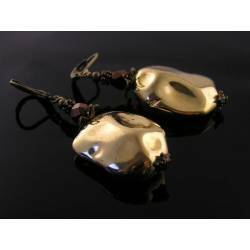 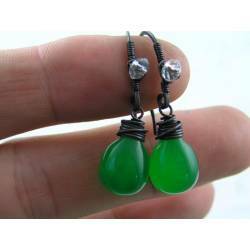 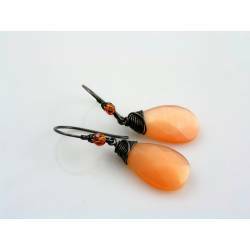 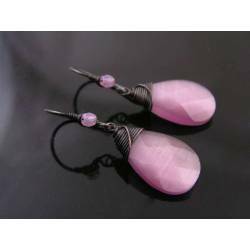 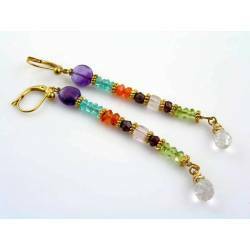 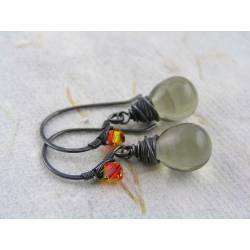 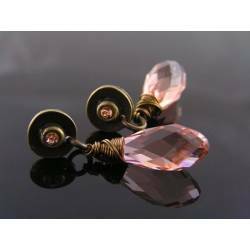 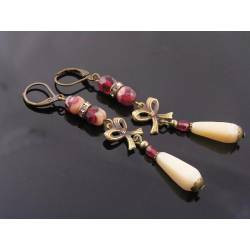 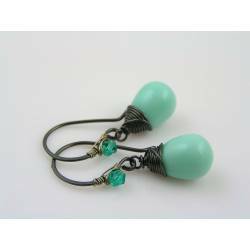 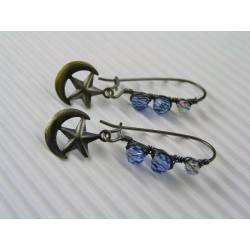 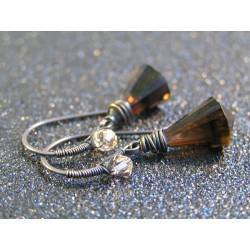 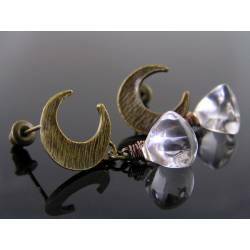 Lovely one-of-a-kind earrings with a nice collection of beads. 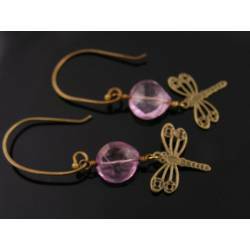 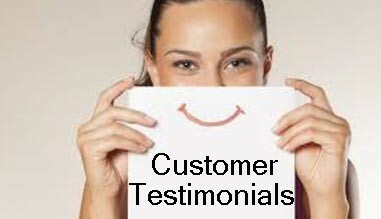 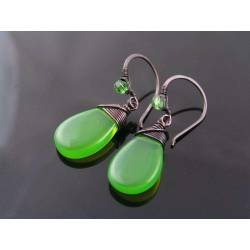 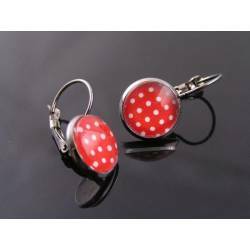 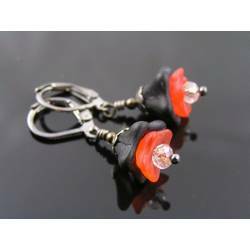 Earrings will come with clear rubber stoppers to prevent loss.